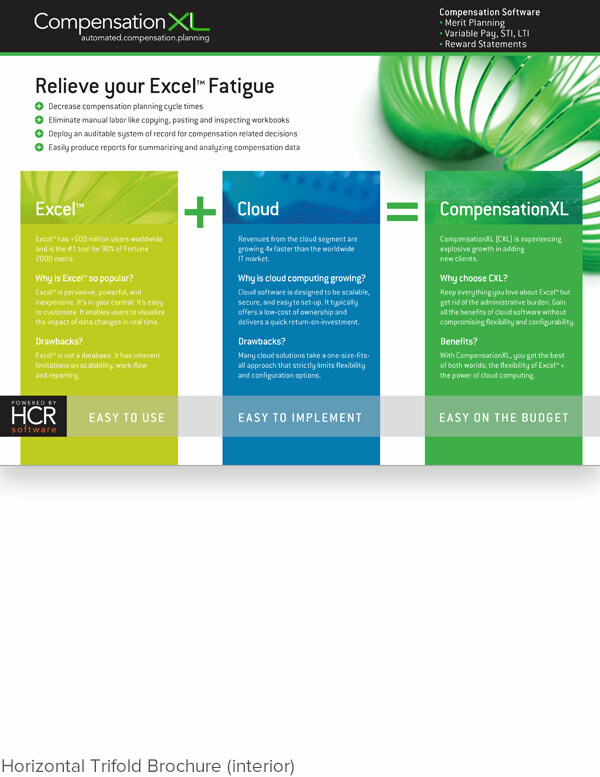 HCR Software is a company specializing in compensation management software. They were in need of a brand refreshing and wanted to take advantage of upcoming trade shows. 2Creative updated HCR Software's brand with a bolder color scheme and a touch of technology imagery. 2Creative showcased graphically what makes HCR a unique software - "The Flexibility of Excel + the Power of Cloud Computing."